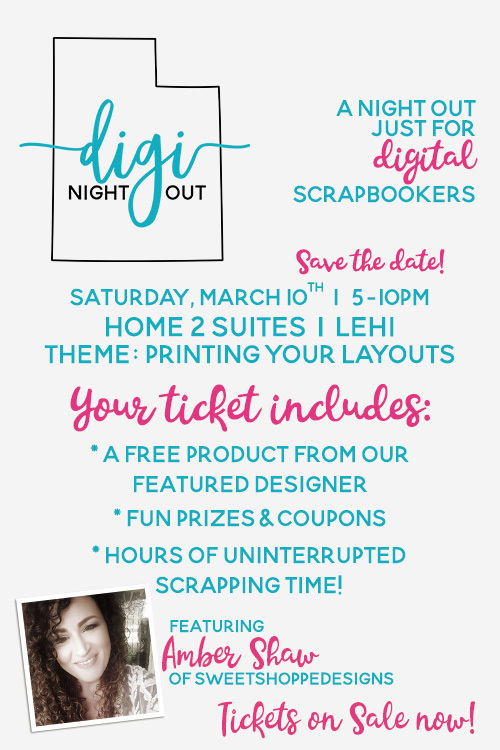 We have a pretty spectacular group of sponsors for the March DigiNightOut event. Thanks for helping to make our event even more fun! Let’s take a look at some of the new stuff our talented sponsors have released. Wow! This kit is jaw-droppingly gorgeous! I’m not sure that’s a real word, but this kit is absolutely stunning. I love the soft colors. 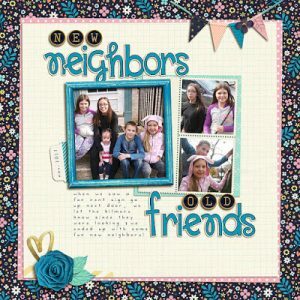 They’re perfect for spring and tender pages about the people who are the most precious to you. 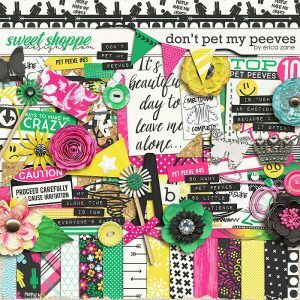 I love Bella Gypsy’s bright & colorful take on this Disney-inspired kit. 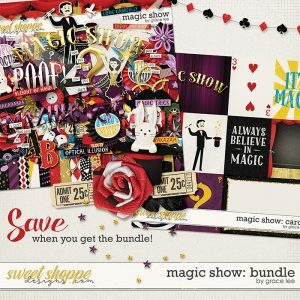 It’s perfect for your magical layouts and all your other princess layout needs. 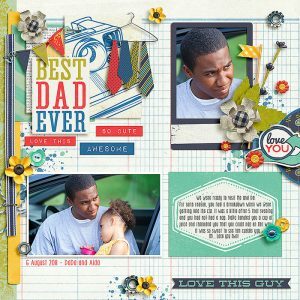 I can just imagine a sweet layout of a parent kissing their baby girl good night with that “true love’s kiss” word art. My family loves playing games! 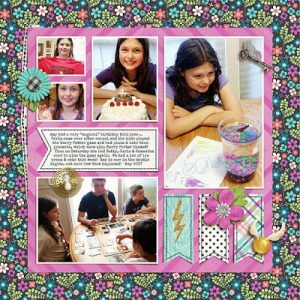 We get together with my husband’s siblings every few weeks and have a fun game night. 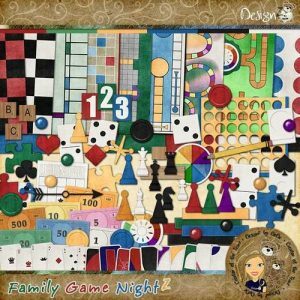 I love that DeDe included pieces inspired by so many different games! 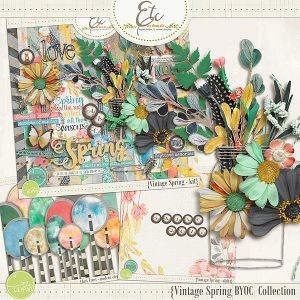 I love the versatility of Angie’s kits. She has something for every situation. My girls are heavily involved in musical theater. I love this adorable kit. 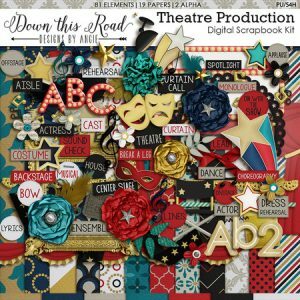 It’s perfect for documenting the theater life of my little drama queens. This kit makes me laugh! Oh man, can I relate to this kit! It’s been a really busy month, and I’ve just had days where I am so tired of having to be the adult who makes the touch decisions. I love the fun colors Erica chose for this kit. This kit is absolutely stunning! 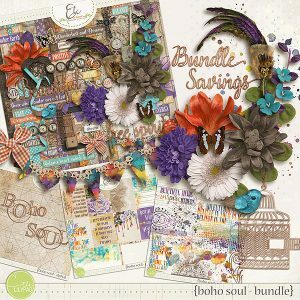 The colors are gorgeous and Danyale beautifully weaves together different textures that help add depth and dimension to her kits. You don’t want to miss this one! 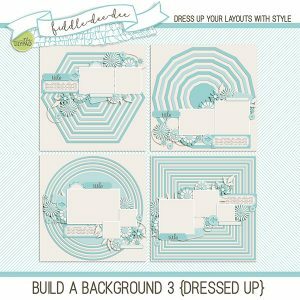 These Build a Background templates by Cheryl are adorable! I’m really into circles on my pages, so I love that circular background, but the other shapes are really interesting as well! 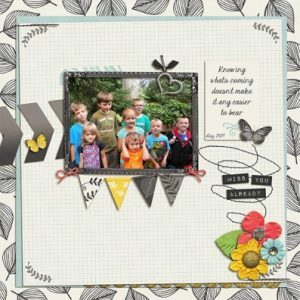 Cheryl’s templates are always beautiful! 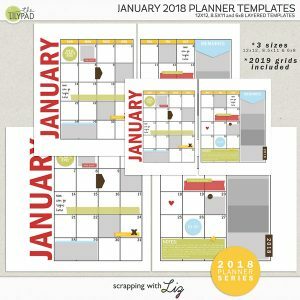 If you haven’t discovered Jen’s templates before, be sure to check them out! 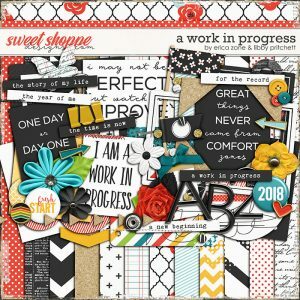 I love her big photo blocks and that many of her templates have a lot of photo openings. 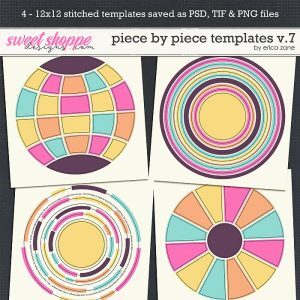 Each template set has a variety of templates. 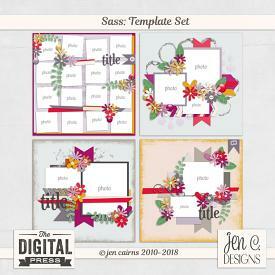 I love this newest set of Jen’s templates. Even if it weren’t a super cute template set, I’d love it just for its name – Sass! I’ve been a long-time fan of Kate Hadfield. Her doodles are seriously adorable! 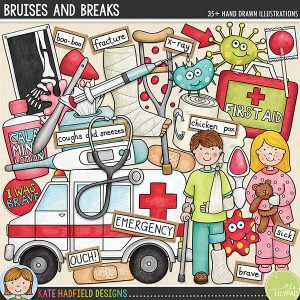 With the flu season we’ve had this winter, I’m betting this Bruises And Breaks doodle pack would be useful for many of us! I can’t pick a favorite piece from this pack because it’s all just too cute! Oh my word! 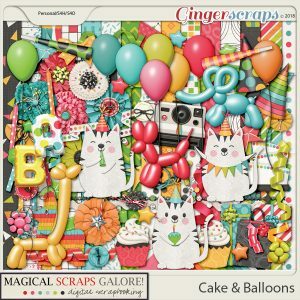 Marina’s Cake & Balloons kit is a hit! Those birthday cats are so cute! I love the balloon animals, too. 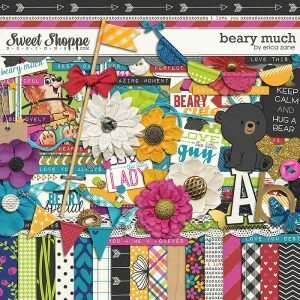 This is definitely a birthday kit my daughters would love! If you’re an annual passholder, we will see you there! 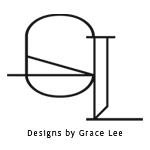 If you can’t make it, I’ll email you the free product from our Featured Designer. If you are a mini-pass holder, email or message me before Saturday, March 10th, to let me know if you’re coming. If you don’t have a pass but still want to come, you can purchase a single event pass here or it’s $15 at the door. Our Discussion Topic for the evening is Layout Printing. Bring your photobooks & albums! Do you have a system for tracking which pages you’ve printed? How do you back up your printed pages? If you don’t have answers to any of these questions, come ask your questions! We will learn from each other! We also have the amazing opportunity to get a sneak peek at the brand new location of the Persnickety Prints lab. They’re going to teach us all about bleed, aspect ratio, and resolution. Meet us at Persnickety Prints at 3pm for a field trip. 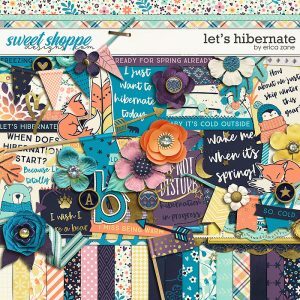 Our Featured Designer for the evening is Amber Shaw of SweetShoppeDesigns. I adore Amber. Not only is she talented, she’s also really kind. Plus, she has the MOST amazing curly hair! Seriously, those curls! I cannot wait to share more about Amber with you at our event. Here’s a little teaser… Amber has fairy lights hanging up in her office to create ambiance! How cool is that?! It makes me want to redo my office with some fun items! 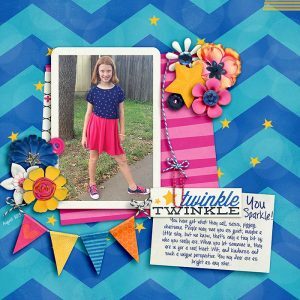 You can learn more about Amber at our March event or on her blog! 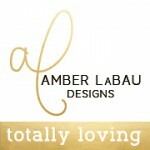 Thank you, Amber, for agreeing to be our Featured Designer! 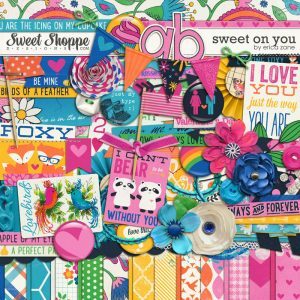 You can follow Amber’s designs on Facebook here. You can purchase Erica’s designs at The SweetShoppe here. Meredith: Let’s talk about your design career. 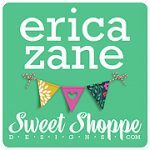 Erica: I started designing around the time my first daughter was born, so maybe around 10 years ago, I can never remember exactly, time flies! 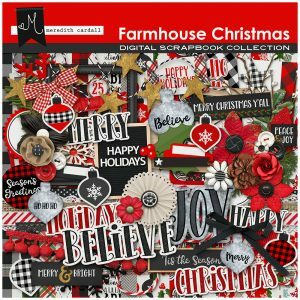 This was the very first kit I ever made and oh my goodness…just yikes. 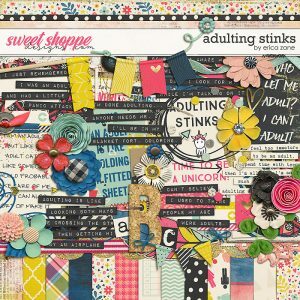 But somehow I managed to finally join the perfect home at the amazing Sweet Shoppe Designs 5 years ago and am still so happy to be here! 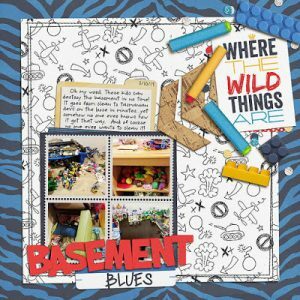 Erica: With 4 children running around our townhouse making all manner of noises, I often have ear buds in with a movie playing on my netbook next to me while I work. I always have to have a glass of water on my desk and snacks are always awesome but I don’t always have good ones on hand, so sad. I can take forever choosing colors and will tweak them a hundred times it seems. Papers are usually first and elements come later…usually in creating papers I can get a feel for a theme if I don’t have one already. Sometimes my themeless kits that turn themed end up being my faves! 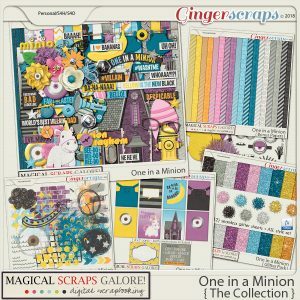 Meredith: Can you share three of your favorite kits with me? 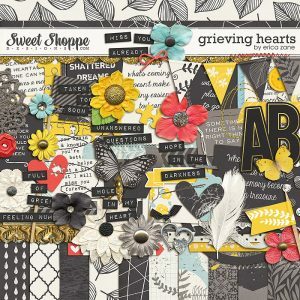 Grieving Hearts is a sad one but it is so special to me, I made it in the middle of being weighed down with grief and I will freely admit I cried while making it, especially the word art pieces. 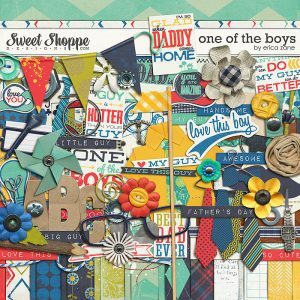 One of the Boys has always been another one that always makes my top 10 list – the colors, the theme, the fun elements – it just makes me smile. 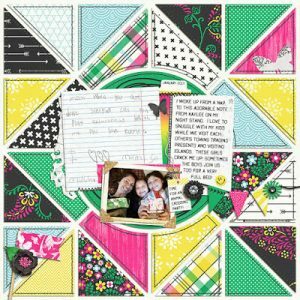 Meredith: Let’s talk about scrapbooking! 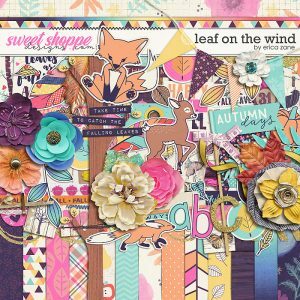 Erica: I feel like I’ve been scrapbooking in one way or another for a long time! 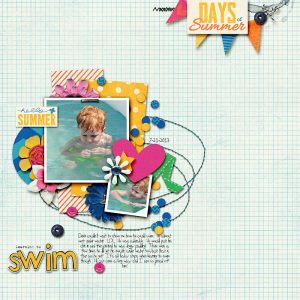 I started doing paper scrapping more when my first son was born in 2001 and found digital around the time of my second son. I had been using Photoshop since high school so I was ecstatic to find this whole new world I was missing! 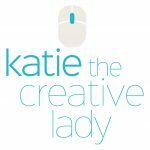 Digital is for sure my favorite form of scrapping – the undo button is my best friend! It’s much less frustrating than when a paper page doesn’t turn out how you envisioned…that’s harder to redo! 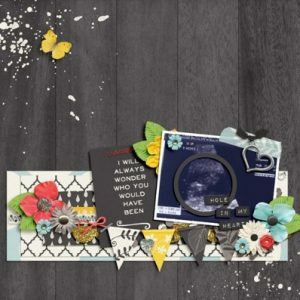 I try to scrap with my new kits when they are complete to “test them out”, sometimes I even end up adding things based on what I feel my page needs. 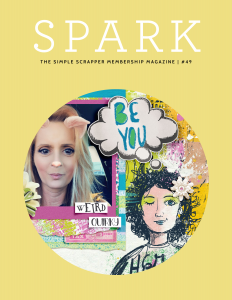 I mostly scrap my kids and our extended family, I am so behind on my scrapping! 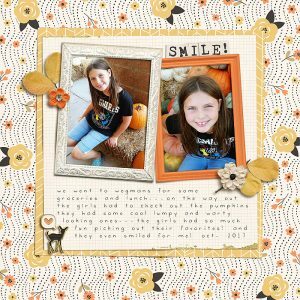 This is my favorite recent [layout], I think mostly because it is so hard getting my daughter to look natural in a photo and I somehow managed to capture TWO of her smiling normally – it was an amazing day, LOL! 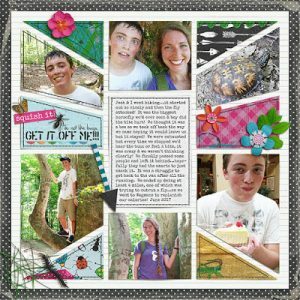 Meredith: Do you have any scrapbook goals? 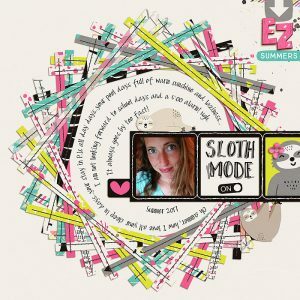 Erica: I am hoping to just be able to be on my computer more in general, designing AND scrapping! I’ve been having carpal tunnel & other issues like my arms/legs going numb when I sit at my desk too long so it’s always a struggle finding the balance! Meredith: Do you have any resolutions? 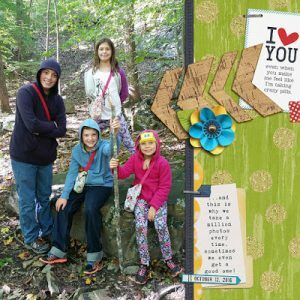 Erica: I do want to start eating healthy again and I can’t wait for warmer weather so we can get out hiking the nature trails around us again – that’s my favorite!! Meredith: Do you have a method or any tips for photo organization? 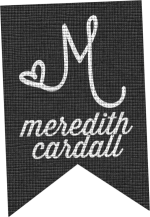 Meredith: Do you have any big events coming up? 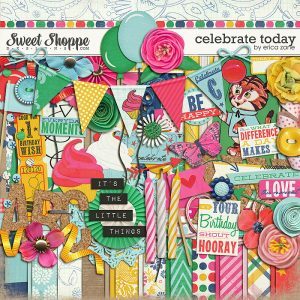 Erica: February is the Sweet Shoppe’s birthday celebration so there will be much fun going on throughout the month! 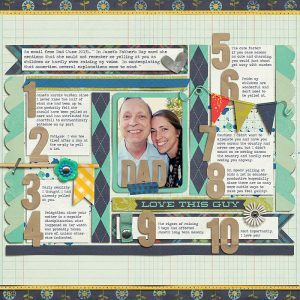 Erica, THANK YOU for being our Featured Designer in January. It has been an absolute delight to get to know you a bit better! 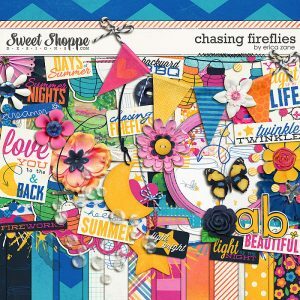 And now, I’ve got a REALLY long wish list at Sweet Shoppe! And just so that I’m not the only one, I’m going to share some of my favorites with you. 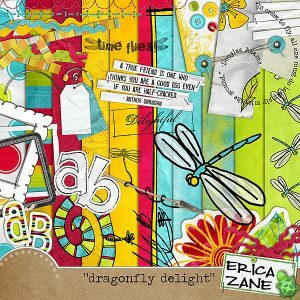 I LOVE that Erica uses bright fun colors! She adorable little animals sprinkled through her kits. And I LOVE that she isn’t afraid to tackle the hard subjects. 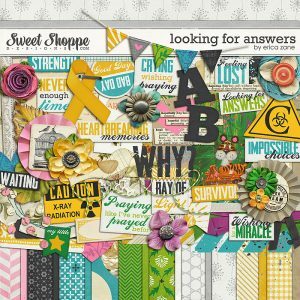 She has several kits that help deal with loss, fear, diagnosis, and even grief. She even has a beautiful kit that deals with pregnancy loss.